Indulging jailbreakers' lust for customisation by making iOS more 'open source' is the worst thing Apple could possibly do to the iPad 3. Some people, cough cough, think Apple should embrace the open source ethos and make iOS 6 more flexible. Much as it pains me to disagree with my esteemed colleague, he's wrong. All wrong. I'm one of those people that finds Android incredibly messy. That's one of the reasons why I favour an iPhone over any Android handset – I've used Android phones before and the interface of each and every one has consistently annoyed me by either looking awful or sucking up masses of my time trying to make it look good. Ice Cream Sandwich will make this a lot less painful, I'm sure, but as easy as iOS? Nope. Absolutely the best thing about iOS being controlled and insular is that it makes everything very easy: easy to use, easy on the eye, easy to get what you want and easy to put it where you want it. Easy. This wealth of simplicity makes Apple's OS incredibly inclusive. I don't just mean that my tech-phobic great aunt can get to grips with a simple row of apps; I'm talking more specifically about my tech-loving brother, Michael, who has Down's syndrome. Michael has an iPad and an iPod touch. He uses them non-stop – downloading apps, FaceTiming, watching videos, creating playlists (full of awful pop music but what can you do) – and he's only ever called me for tech support twice. Do you think he'd have as much success with an Android tablet or phone? I don't. I think I'd have to block his number because he'd be on the phone to me every three minutes – or his expensive gadgets would sit in a drawer gathering dust. Adding new and inevitably more complicated options will only make this already-advanced tech seem even more intimidating to the tech-illiterate. Fine, you may say, but those people aren't the masses. Fine, I counter, but neither are the jailbreakers: one million iPad 2 and iPhone 4S devices have been jailbroken in three days, thus proving, Gareth argues, that added customisation and access to non-Apple approved apps is what the people want. But that's one million out of how many? 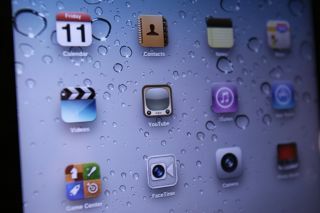 Apple sold one million iPad 2s in the first weekend they were available and over four million iPhone 4S handsets in its first weekend. One million jailbroken devices is a drop in the ocean. "Apple wants to preserve the iconic look of its iOS," reckons Gareth. "But it will need to let go of that idea if it hopes to keep users hooked in the future as rivals offer more customisation." Wrong again, Beavis. I don't know if you've noticed, but Apple can do whatever the hell it likes and people will love it. Take voice control – nobody needed that, people barely even wanted it and yet Siri is the headline feature of arguably the most successful iPhone yet. Apple sets the bar, Apple doesn't follow suit. And seriously, what options do you need that you don't already have? Changing the background, rearranging icons, filing apps in folders that you can rename… what more do you want? Widgets? The only time widgets have ever be vaguely useful in day-to-day life is when you want to check the weather at a glance. And, to be honest, that's only useful in the mornings before I open my curtains because otherwise I can just look out the window. That's not to say I'm going to faff about asking Siri if I need an umbrella or not either though - like many people, I am cool with the two-second process of tapping a button before receiving information that I consume with my eyes. If Apple takes a leaf out of the Android book of customisation for the iPhone 5 and iPad 3, as Gareth suggests it should, it would put iOS on a rocky road to exclusion and annoyance. Jailbreakers are a fearless lot: fair play to them for being the masters of their own destinies and taking matters into their own hands. But they're the exception, not the majority. Leave them to their fun and keep things simple for the rest of us.